I didn’t use any coupons for these finds. 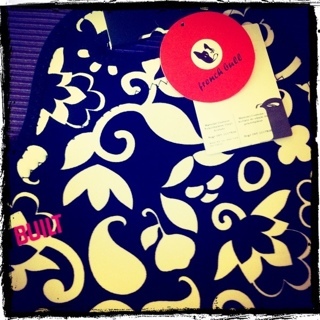 First up I found this really super BUILT Lunch Tote in French Bull Vine / Raspberry Sorbet colour… or should I say flavor? I don’t think the name gets any better then that either. I love Raspberry Sorbet and French Bull dogs! hah – I am a nerd, I know. I found it on a clearance table at one of our local Staples. They had a couple and two different styles marked down to $9.97 from $19.99 on top of that they had 50% off. It came to $5.58 after tax. 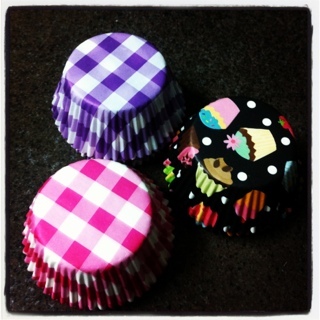 My next find was cute cupcake cups at Dollarama – $1 for 60 cupcake wrappers is pretty reasonable. They are nice quality and the store had a lot of different designs. I had a really hard time limiting myself to just 3. I noticed they are a Dollarama product so I hope they always have them in stock. This entry was posted in cool finds, deals, dollarama and tagged cool finds, deals, dollarama on November 9, 2011 by Courtnie.